To get to All Shook Up all that you need to do is get to Hwy 1 in Santa Cruz and exit onto 41st Ave. heading torwards the coast. 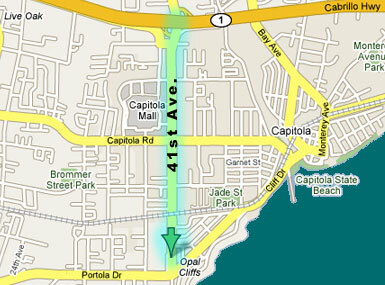 All Shook Up will be on the right side a little more than a mile up 41st Ave. just before Portola Dr. 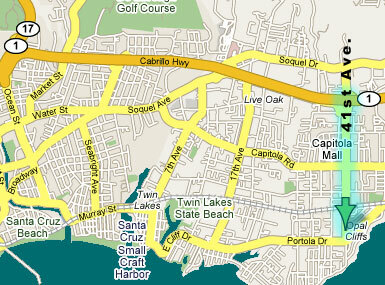 If you are coming from the Bay Area, take Hwy 17 over the hill to Santa Cruz and take Hwy 1 South 3 miles to 41st. Ave. All Shook Up will be on the right side a little more than a mile up 41st Ave. just before Portola Dr.